Casting Call Club : CLOSED!! Hi! I'm Alice, Smule username @AliceShinigami if you want to hang out with me there! I don't have a name for this group yet, but I'm sure once I've finished casting we can all come up with a name together! All I know is I want to be an Aqours group that will cover any and all u's and Aqours songs! I want to make a LoveLive! cover group outside of the usual impression cover groups I participate in on Smule Karaoke. I feel as though "covers" are meant to be an individual or group's own spin on a song, not a by-the-books impression of the original song. That's why I'm looking for 8 other girls to sing LoveLive! songs with me, using our natural voices! I will be taking the part of Matsuura Kanan! Her part will not be up for audition. I plan to be a laid-back but professional group. Depending on how well the group works together, I'll set a timeframe of anywhere from two weeks to a month to complete a song! That includes the singing, mixing, and video editing, all of which I'm going to need some people to help with! -The covers will be published on YouTube, so you have to be okay with that in order for your audition to be considered. -Have at least decent mic quality and a quiet recording space with no background noises! I want us to sound amazing!! -You don't have to sound exactly like the character you're auditioning for! You just need to emulate the general attitude and "feel" of the character in your audition! -If I feel as though your voice would match what I'm looking for in a character other than the one/s you auditioned for, I may cast you as such! If you aren't okay with that, please say so in the comments of your audition and I'll note it when casting! -I'd like for us all to be friendly with one another! 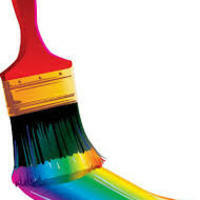 No bullying or talking negatively of other people/groups/members! Deadline is February 28th, the end of this month! I will listen to the auditions after that and cast results will be released by March 10th at the latest! Feel free to ask me any questions you might have! I need someone or a couple of people to mix the vocals and edit songs! I'll admit I'm illiterate when it comes to the world of technology, so I'll need some help in the publishing department! NOTE: If you audition as both cast and crew, please mention in both auditions that you did so! 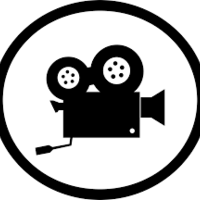 Example: "I auditioned for Video editing too! "/"I also auditioned for sprite editing!" Required: An example of your editing or song mixing so I can see what kind of work you can do! Optional: Singing. If you wish to audition as both crew and a cast member, go right ahead! Singing is not a requirement if you'd like to be only crew/technical help! Required: Show me an example of your editing! 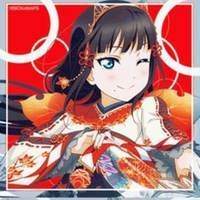 Example: A Ruby to Nico edit of the Aqours Angel set, or any other such cross-group edit, as we will be covering both Aqours and u's and will be using the cards from the game as our art! Chika's voice is on the higher end, and a tiny bit nasally. She's very expressive and energetic, and this shows through her singing! Requirement: Sing any LoveLive song you want in Japanese! Let me hear your energy as Chika! Riko's voice is mid-range to high. I'd describe her voice as mature but cute. Not quite on the squeakier kawaii end of the Sunshine!! spectrum but not yet to cool vibrato either. Try to convey this in your singing! Requirement: Sing any LoveLive song you want in Japanese! Let me hear your sweet passion as Riko! You's voice is rather unique, in that she pronounces her syllables a bit differently than the other girls. She's in the same range as Chika, with a slightly lower tone. 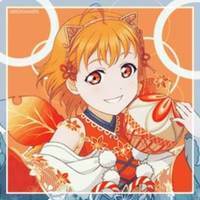 I find her voice to be similar to Chika's in many ways as well, Try to show me how unique you can be in your singing! Requirement: Sing any LoveLive song you want in Japanese! Let me hear you sing with the energy of our Yousoro! Ruby is on the high squeaky end of the spectrum, with a baby-like pouty quality to her singing. As a first year, she definitely sounds younger than the other girls. I want to hear your most kawaii childish voice! 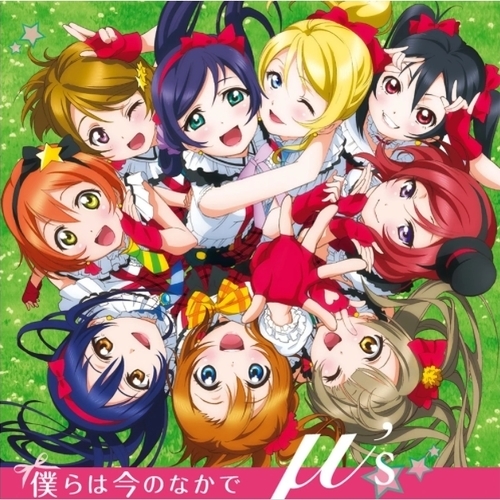 Requirement: Sing any LoveLive song you want in Japanese! Let me hear your cutest voice as Ruby! 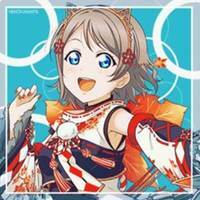 Yoshiko is special in that she often switches personalities depending on the song she's singing. 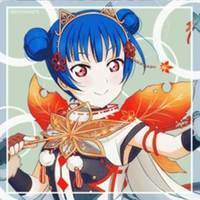 For instance, she uses her higher natural voice in songs like Waku-Waku-Week and Mijuku DREAMER, her lower mature "Yohane" voice in songs like Strawberry Trapper, and a middle ground or cross between the two voices in Daydream Warrior. Show me both your Yoshiko and Yohane in your audition! Requirement: Sing any LoveLive song you want in Japanese! Let me hear you sing to your little demons as Yoshiko/Yohane! 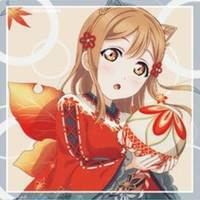 Hanamaru has more of a mid-ranged voice, with a mature sound beyond her year. She has a nice softness to her voice, but with strong vibratos and a steady power. Let me hear you sing your best! 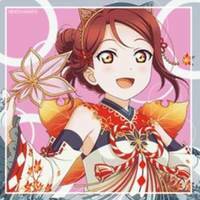 Requirement: Sing any LoveLive song you want in Japanese! Let me hear you sing with Hanamaru's maturity! Dia's voice is very misleading when compared to her cool demeanor as a Student Council member. She sings on the higher end, with a surprisingly cute voice reminiscent of Chika's sound. At times she can sound mature, however, and this is what I'd like for our Dia so the voices don't all sound the same! Let me hear your best older sister voice! Requirement: Sing any LoveLive song you want in Japanese! Let me hear you sing with the unexpected cuteness of Dia! Mari has a very unique voice, since she speaks English as a result of her father's travels. She has a very cutesy sounding, energetic voice that often trails upward into a squeak at the end of lines, rather like in her signature shout of "shiny"! But this cuteness doesn't mean her voice isn't powerful. Give me all you've got as my best girl Mari! 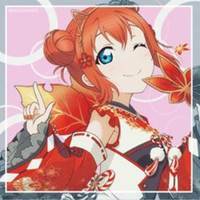 Requirement: Sing any LoveLive song you want in Japanese! 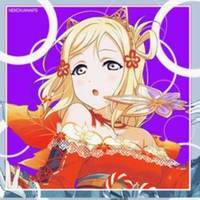 Let me hear you sing with the energy and power of Mari!